Old buildings—we love them! In fact, our offices are in an old industrial building built in 1910. Being here is pretty interesting. Our concrete walls show their original wooden formwork. Thick timber beams rest on old, cast-iron post caps. 100 year old wooden windows take some serious grit to prop open. 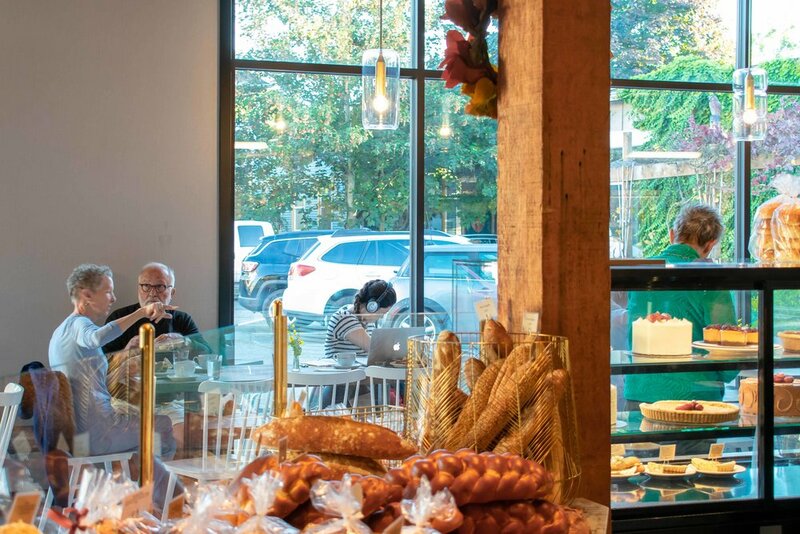 At Macrina Bakery’s new location in Capital Hill, the team uncovered—beneath layers of drywall—an original firewall built in 1925. Made of heavy timber, this wood firewall was the era’s answer to preventing fire from spreading between commercial and residential properties. New firewalls cannot be built like this today, which made our discovery pretty interesting. 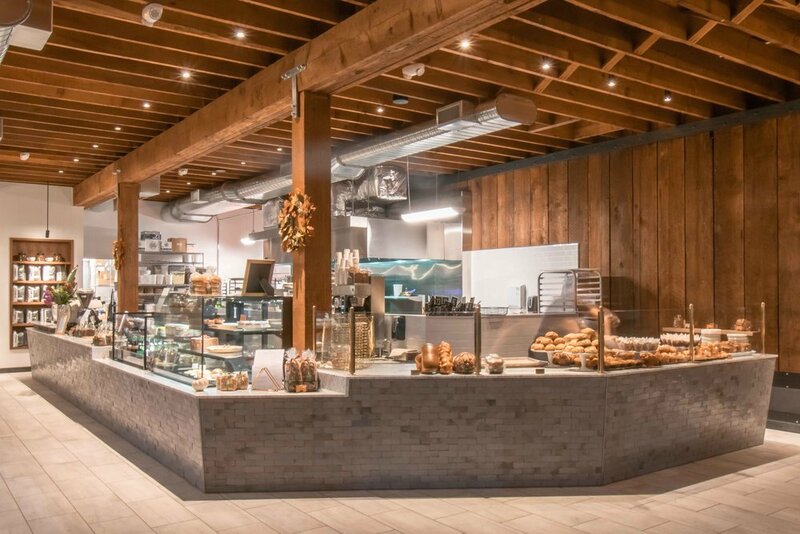 The firewall—like the building’s joists, beams, and columns—had aged into something uncommon, especially for a retail bakery space. How might these original structural elements help define the new Macrina Bakery? In what ways could these older elements be re-used? Designed with purpose and clarity, adaptive reuse creates striking contrasts by providing a bridge between the old and new. When rooms intended for one use are re-purposed for another, when a firewall built a hundred years ago serves as backdrop to a clean and vibrant kitchen—the effect can be dramatic. Adapting and enlivening older buildings to new purposes is fascinating work. An older structure gains new life while conserving its historic value and structure. Idiosyncrasies, odd discoveries, and the building’s strengths and weaknesses are documented and assessed. Reuse projects remind us of our profession’s long history, its changes through time, and the ways old spaces—blended with the new—become something special. *Adaptive reuse refers to the reuse of an existing site or building from its original purpose to something new. Gas Work Parks in the Wallingford neighborhood of Seattle is a popular example.